The IRS defines residential rentals broadly. To the Internal Revenue Service, a residential rental property is any property that you own and rent out to other people. It can include a single house that you rent out, a vacation home that you rent on a weekly basis, half of an owner-occupied duplex or even a large apartment complex with hundreds of units. The common thread is that it's used as a residence as opposed to being a property used for businesses, such as an office building or retail center. Residential properties contain one or more dwelling unit. The IRS defines a dwelling unit as a space with the basics you need to live -- a place to sleep, a place to cook and eat and a toilet. A boat or mobile home that meets these conditions could be treated as a residential rental property just like a house. If, however, the property is used on a transient basis, as a hotel room would be, the IRS doesn't treat it as a dwelling unit. In the process of depreciation, IRS allows you to write off a portion of the cost of rental building, but not the land that it sits on, every year while you own it until its value is written down to nothing. While commercial rental properties have to be depreciated over a 39-year period, you can use a faster 27.5-year period for residential rentals. Sometimes, owners of residential rental properties also use them for personal reasons. For example, if you own a rental home on the beach, you might spend a few weeks a year there vacationing with your family. When you do this, the IRS still lets you treat it a rental to the extent that you're not using it. You have to prorate your expenses between when it's used as a rental and when it's used as a home. For example, if you're in it 10 percent of the time, you can write off only 90 percent of your expenses against your rental income. Also, if you spend 14 days or more than 10 percent of the number of days that you rent the property out in it, the IRS limits your ability to write off losses from the property against your regular income. Residential rental property doesn't have to start out as an investment. You can convert a personal residence to use as a rental, if you choose. When you do this, you still get to write off all of your rental expenses against your rental income. However, your cost basis in the property gets set at either your original purchase price or the fair market value at the time you converted it to rental use, whichever is lower. When you sell a residential rental property, the IRS doesn't give you any of the exclusions that you get on a personal residence. Since it's an investment property, you'll be subject to capital gains taxes on any profits from the sale. In addition, if you sell it for more than its depreciated value, you'll also have to pay depreciation recapture tax on the difference between your sale price or the cost basis, whichever is less, and the depreciated basis. However, since a rental is investment real estate, if you choose to roll your proceeds into another piece of investment real estate and you follow IRS rules, you won't have to pay any taxes on the sale. On the other hand, if you live in your home most of the year and rent it out occasionally, you may eligible to take advantage of a tax loophole. 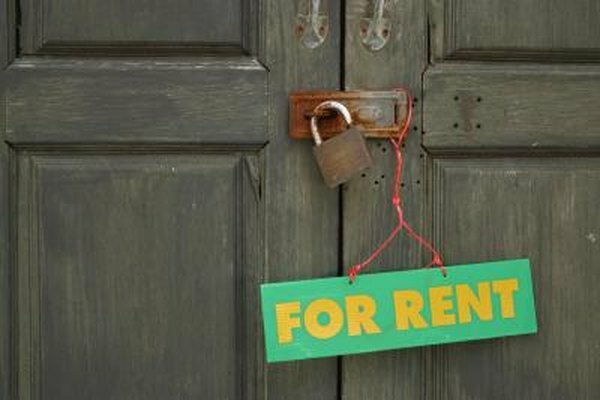 When you rent you house out for fewer than 14 days, the IRS doesn't consider it a rental property. This means that you can't deduct your expenses. It also means that you don't have to report the rental income you earn, either.